The Edinburgh is a two-tone brogue in brown and grain leathers that makes it both classic and chic. 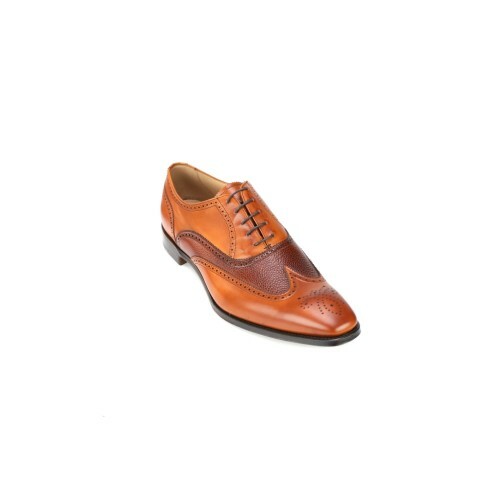 The EDINBURGH is a two-tone town-and-country Spectator Brogue in brown and grain calf. With a rakishly narrower gauge than its broader-beamed brothers, its burnished sheen and its ding-dong combination of colours, this devilishly handsome shoe will charm anyone off their feet and into your sports car. You will never be poorly judged with a pair of these on your feet!